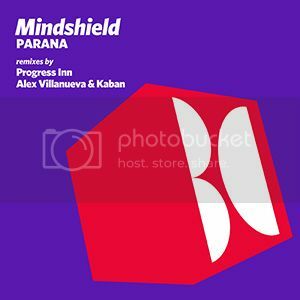 [BALKAN0257] ''Mindshield - Parana'' Out Now!!! Thread: [BALKAN0257] ''Mindshield - Parana'' Out Now!!! Balkan Connection Records is glad to have back on its label talented ''Mindshield'' from Argentina! ''Mindshield'' delivers two amazing progressive originals ''Parana'' previously released at Connections XII compilation and received excellent support, and the brand new single called ''Sensible''. ''Parana'' gets remix treatment this time, from amazing Serbian and Mexican duos ''Progress Inn'' and ''Alex Villanueva & Kaban''. ''Progress Inn Remix'' already received huge support from one of the best in the world of Progressive House ''Hernan Cattaneo'' at his Resident Episode 124! Release Date: November 25 2013 exclusively at Beatport!!! Hernan Cattaneo dropping "Mindshield - Parana (Progress Inn Remix)" at Resident Episode 124 September 21 2013! ALSO CHECK OUT THE LATEST RELEASE AT BALKAN CONNECTION TECH!!! [BCT0066] ''The Revolving Junkie - Fungasm'' Out Now!! !